Home Unlabelled Shecky's Girls Night Out in Atlanta! Here's another post I worked on before vacay. I promise I'll get the Philippines pics up soon...honestly when I get home from work, I fall right asleep with no time to blog! I'm still on the Philippines time where night is really day and vice versa. Hopefully I get over this jet lag soon because my nights have not been productive lol. Before I fell asleep I was able to finish editing a new vid though...it should be up tomorrow or the day after hopefully. Back to the post! 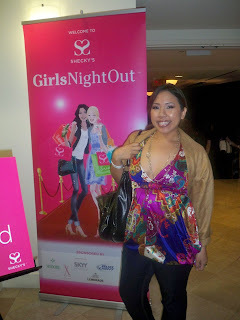 A few week's ago, I was invited to attend this awesome event called Shecky's Girls Night out. 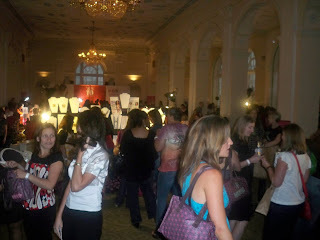 The event took place in the super swanky Biltmore Hotel in Atlanta. I arrived with my girl Melissa about 45 minutes after it started and the lines were already wrapped around the block outside the door! Craziness! I felt like a celebrity with my press pass because we got to skip the line! As soon as you get in, you turn in your card for a massive goody bags. The price is $25 for admission as well as the goody bag but totally worth it! I'll get into the goodies at the end of the post. 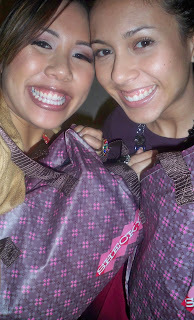 Right after the Goody Bag Stop we were greeted at the Fuze Station. 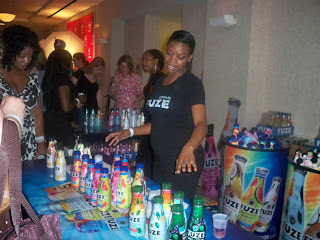 Free Fuze drinks! I got the Diet Green Tea...it was alright, I think I like the non-diet flavors better, i'm sure they taste better he he. Here are some snapshots of the crowd. They really don't do it justice because it was packed! It was like a club in there! You can see some of the vendors in the background...there were a lot of local Atlanta clothing/jewelry and shoe boutiques as well as National Brands. Each city stop will probably have different local vendors. Here I am posing with one of the reps from Yes TO Carrots. If you haven't heard of this brand, they're a great organic line of cosmetics and skincare sold at places like Target. They had all kind of products to test out. Here's Melissa trying out their lipgloss. She liked it too! The event didn't have as much makeup as I was hoping...but then again, I'm a beauty blogger so I'm always looking for cosmetics! 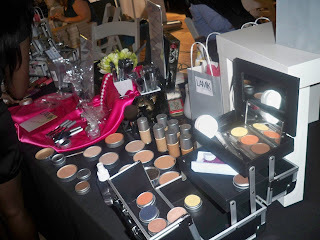 Here's a shot of the only cosmetics stand...not sure of the brand though. Melissa is modeling one of the bracelets from one of the local vendors. They had lots of cute stuff. Another shot of Melissa trying on the super cute tan heels on the left. Too bad they didn't have her size! I thought we had seen everything but they had a whole other section on the other side with free alcoholic drinks and games. FYI, you have to be 21 and up to go to this event. 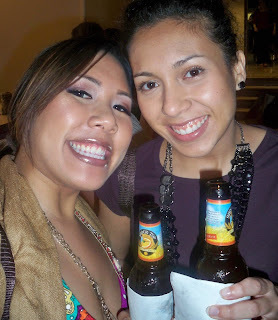 I tasted a waffle flavor beer...honestly I hate beer but this one wasn't bad! Also in case you're wondering, i'm wearing all Steelo Cosmetics. They had a station for the Enzo Milani clampless curling iron. The reps convinced both me and Melissa to buy one, lol. That was my only purchase of the evening at $100. However, the hair rep hooked me up! My hair is very hard to curl since it's so thick and straight. I usually have to put on lots of hairspray and lots of heat for it to last. He did my hair which was slightly damp from airdrying in 12 minutes! He didn't even use any product. The curls lasted for 3 days! 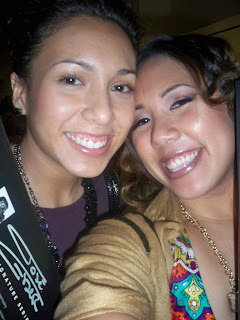 Melissa also has really curly hair...he showed her how to reinvigorate frizzy curls without having to re-wet her hair. It would probably take her less than 10 minutes to do her entire head. Pretty nifty! The only thing is that I still haven't used it, lol. I brought it with me to the Philippines but I didn't have an electric converter! 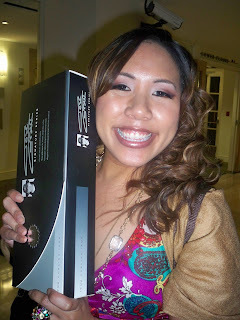 Also, the curling iron he sold us is actually Jose Eber, not Enzo Milani...I've definitely seen their stands in the local mall and never stopped to get it, lol, oh well! One last shot of Melissa and I before we headed out. We were there for an hour but if you have some money to spend I can see you being there all night! 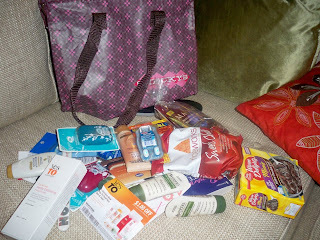 Here's a shot of the goody bag. It included some great stuff including a full sized Yes TO Carrots facial cleanser. 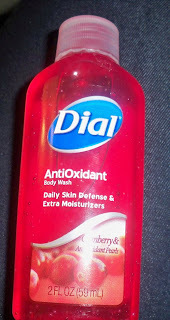 They also had a travel sized sample of the new Dial Cranberry body wash with antioxidants. I had seen the commercials and wanted to try this. I used it in the Philippines, smells so good! 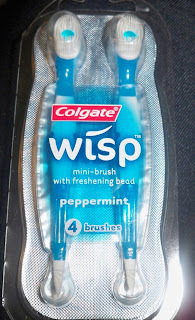 They also had the new Wisp products from Colgate. I used these on my 15 hour flights to the Philippines when I couldn't brush. What a great idea! 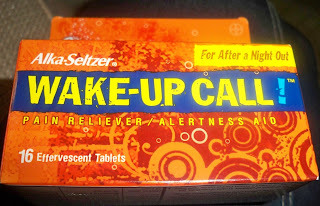 Lastly, they have a full sized product from Alka-Seltzer. Apparently these bad boys will work after a wild night out...maybe even help with a hangover! I should have brought these with me to San Francisco, lol...I could have used them! In sum, this event was so much fun. It's great to go with your girlfriends for something entertaining and different. FYI, if you sign up on the website and become a Shecky Insider you can even go to this event for free! (Doesn't include the goody bag though). I've been to one kind of like this in Atlanta but it wasn't nearly as big as there was no goody bag. I wish they had events like this more often! Check the website out for details for the next one coming to your city! looks like so much fun! can't wait for it to come to Boston! LOL! 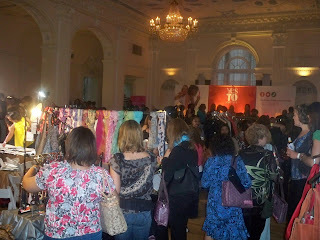 they have shecky's up in nyc too, the goodie bag used to be WAY bigger but now its smaller. Don't you just love all the free stuff? LOL! I stopped going a few years ago cause i'd never be able to use up all the stuff! But damn that curling iron sounds awesome! OOO i have seen that product they sell at the Whole Foods! 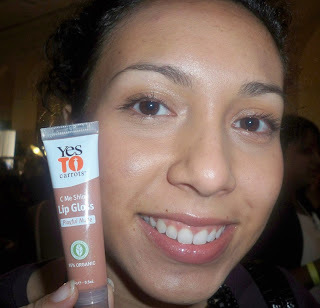 the "Yes to Carrots lip gloss" yeah yeah yeah hmmm i will have to try then !!! sounds like fun! can't wait for them to come back to Atlanta! Welcome back..looks like you had so much fun. looks like you two had a great time! i didn't see any fab shoes like that at my shecky's girls night out!! this looks like so much fun ate! i am so signing up for the one coming to dallas! woohoo!